With E liquids it is a wise decision to have these supplied as a waterproof label, and although it’s not required at the moment in UK law, but because the product is liquid the important information such as nicotine content will be always displayed and not rendered unreadable through becoming wet. Our waterproof labels will stand up to the harshest environments; they have even been subjected to a domestic dishwasher to check their durability. Another requirement should be that they will not fade in sunlight; we will ensure that the E Liquid labels supplied will be UV resistant; for a really durable label we would suggest the use of 3M polyester material, this will give the ultimate in strength and rip resistance. Naturally with our ability to print labels in a huge range of vibrant colours, we can ensure that your E Liquid Label will stand out. 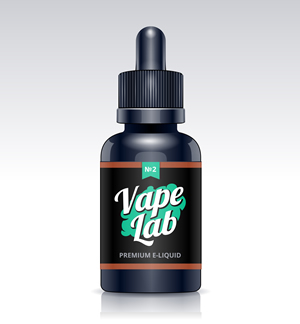 In a relatively young industry, there has yet to be a huge list of requirements that need to be seen on the E Liquid label, there is one however, if the liquid has more than 0% nicotine it must have a tactile triangle label. As we are all aware the normal barcode consist of a series of parallel lines above a series of numbers, which stores information. This is then deciphered by the machine and used to complete the task required, most often this is indicating the price of an item to the check out. 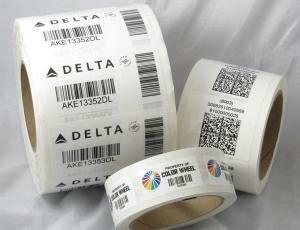 There are alternative styles of barcode such as the QR or Quick Response code, which works in a similar manner but they differ from standard barcodes as they are two dimensional. Where there is a possibility of a barcode coming into contact with water, however small the chance may be, we recommend the use of waterproof labels. 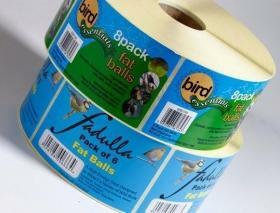 We can offer a variety of waterproof labels which includes white, clear, and silver giving complete flexibility with barcode labelling and these can be supplied on rolls and have either a gloss or matt finish. We will be happy to discuss with you the type of material that can be used, this can be Polypropylene which is a synthetic material that is weatherproof and waterproof and is both highly durable and resistant to oils, alcohol and chemicals including materials that can cause staining. Another alternative is polyester, a synthetic type of material; again this is weatherproof and waterproof. Polyester also has the advantage of being able to withstand very harsh conditions freezer temperatures for example, extreme heat and also has high resistance to Ultraviolet light; this will protect colours and text from fading and again can be supplied in either a gloss or matt finish. A product which is in wide use within the horticultural industry is Vinyl as this has been found to operate very well in conditions found in these environments, both hot and humid summer conditions as well as cold, damp and freezing conditions, this also makes it perfect for use in marine and underwater situations. Recognising at everyone’s requirements are different, if you would like advice of any further information, please get in touch and then we will then ensure we by calling our customer care team on 01293 551520 or click on Request a Free Quote. Here at DataLabel we can, with the help of our in house design team help you create a design of your window sticker and with a huge stock of over 5,000 cutters in a range of different sizes and shapes including rectangular, oval and circle, we feel sure that there will be something that is right for you. However, if you require a special shape to fit with your brand, this can be accommodated at a small extra charge. Window stickers do not have to be restricted as a marketing tool, they can be used for a multitude of applications, parking permits or to just remind a user the time when maintenance is needed. Using window stickers for a range of different applications either inside or outside a window or attached to the side of a van or pleasure craft, these can be easily removed after they have served their purpose, permit has expired or the event has taken place for example. How you choose your vinyl car window sticker will to some extent depend on what it is displaying. You may decide to choose a sticker in clear gloss, meaning that it will have a clear background, this way we find it is ideal for logos, or perhaps a solid background which means you can fill more of the area with your message and branding. Good printing for any advertising medium is a necessity, but we consider it more so with vinyl window stickers which is why we offer print at 1440dpi, providing a high quality product and we use eco-friendly ink which not only lowers our environmental footprint, but provides exceptional resistance to fading from UV radiation. When you are ready we will usually be in a position to deliver your stickers within 3-5 days, but are more than flexible to meet your need if you need them quicker. To chat to one of our sales team or to request a quotation simply fill in our enquiry form or call us directly on 01293 551520. For many of us the barcode is just something that tells the cashier at the checkout the price of the item that has been scanned through a barcode reader, but it does a lot more than that. For example the purchasing office will be able to see the current stock levels of each item scanned and re-order as necessary to make sure the shelves are kept stocked. This enables the business to keep stock to a minimum, today this is often referred to as “just in time”. No longer does the shopkeeper or manufacturers have to keep expensive items in stock, it also reduces the need for large warehousing facilities; just sufficient room until the next delivery truck brings in the newly ordered supplies. Printing for a barcode has to be of a quality that will enable the code to be “read” by the barcode reader, something which caused some problems in the early days when universal barcodes evolved. We are pleased that with our modern digital printing process, our printed barcodes present no problem for the barcode reader. We can see that the use of barcodes can make a business more efficient, cost effective and keep prices low, whilst enabling overheads in staff, stock levels and storage to be kept to a minimum. So if you are considering using barcoding for the first time, or at the point where a new supply is needed, contact us and we will be pleased to discuss the numerous options that are available, also let you have a free quotation and samples of our barcodes if required. Food packaged in jars requires the weight to be prominently displayed, a ‘best before’ or ‘use by’ date, the name of the food, allergy warnings, a list of all the ingredients if more than one, storage information and if necessary guide lines for cooking the product. We will be more than happy to discuss what you may and what you must include on your bottle or jar label. 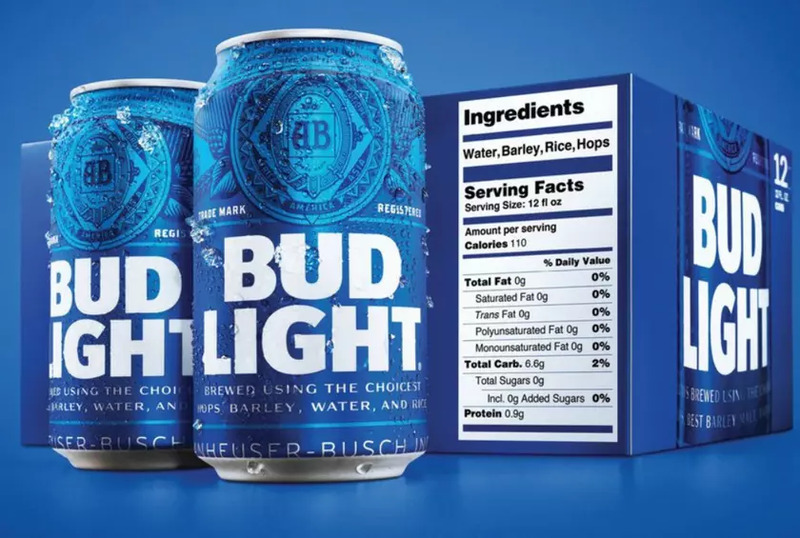 Putting all this information on the label would be pointless if it became unreadable because of exposure to sunlight, moisture, or adverse temperature for example. 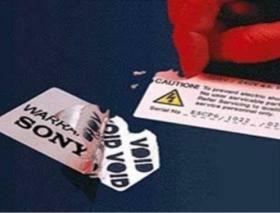 We can offer a variety of solutions if your product is liable to be exposed to difficult conditions, two examples being UV varnished, or laminated for added print protection will make the label last for a longer period of time than usual. In this respect the adhesive is vital, again we can advise which adhesive would be suitable for just about any condition and ensure that the labels stay firmly attached to the bottle or jar. Naturally you will want your bottle or jar to attract the customer and stand out from your competitors, material is important and shape too. You may have a particular shape in mind and we are able to supply most shapes from our range of stock cutters, but we can for a small charge supply any shape and size to your own customised unique measurements. We will help you make your bottle or jar stand out on the shelf from your competitors, with printing techniques that are at the forefront of label production because we are equipped with the very best digital printing technology, ready to meet today’s demand for high quality labels.